By now, most people are aware of the obvious benefits of yoga and meditation. Yoga is good for flexibility, balance, and strength, while both yoga and meditation are hugely beneficial for mental health. These benefits are all particularly useful for seniors, who may struggle to find healthy practices that are safe, adaptive, and accessible. Plus, group yoga classes — which usually include a built-in meditation practice — are free for many seniors. For example, Humana Medicare Advantage plans pay seniors’ way into SilverSneakers fitness programs, which offers yoga sessions, walking groups, water aerobics classes, and more, and many local YMCA centers have free yoga courses for seniors. If these perks aren’t enough to convince you how perfect yoga and meditation are for a senior lifestyle, maybe one of these lesser-known benefits will do the trick. According to Harvard Health, as we grow older, our natural stress response can start taking a more dramatic toll on the body. Seniors have a multitude of common stressors, from loneliness to boredom to the loss of friends and spouses. Yoga and meditation cannot make all the stress in your life melt away, but they can help you manage it so you don’t feel the strain as heavily. We are still discovering the true importance of gut health and how it connects with other systems in our body. Recent research has shown that regular exercise can help keep your gut microbiome healthy, and the gentle movements of yoga are especially perfect for this. Furthermore, yoga’s power to reduce stress is also beneficial for your gut’s health. Yoga exercises the whole body, including the joints, making it a great tool for seniors suffering from arthritis and joint pain. Many seniors assume that yoga has too much potential for further injury, but this is not the case. The Arthritis Foundation recommends it as a form of exercise, celebrating its ability to strengthen joints, improve flexibility, and reduce pain. Weight training is an effective way of combating osteoporosis, or a weakening of the bones that occurs naturally with age. By the time we are 60, our bones have lost a significant amount of mass, making them more prone to damage. Yoga involves various weight-bearing poses, which allow you to build bone strength in a way that is gentler and more progressive than traditional weight training with dumbbells and gym equipment. However, you do need to be careful; check out the dos and don’ts of yoga for osteoporosis at Yoga U. Another common consequence of aging is lowered immunity. There are many complex reasons for this, from natural processes to the increased chance of illnesses such as diabetes, which can also weaken the immune system. Both yoga and meditation shine in this area, due in large part to their relationship with stress. People tend to think of stress as a purely mental problem, but it has significant, tangible effects on our bodies as well. This is because stress triggers a “fight or flight” response that uses up a lot of our body’s energy. What the above studies on yoga and meditation show is that somehow, a mind that is constantly stressed directly leads to a body that struggles to keep up with illnesses and injuries. For many years, yoga and meditation were associated with alternative medicine — practices that had anecdotal evidence of health benefits, but no science to back it up. However, this is no longer the case. 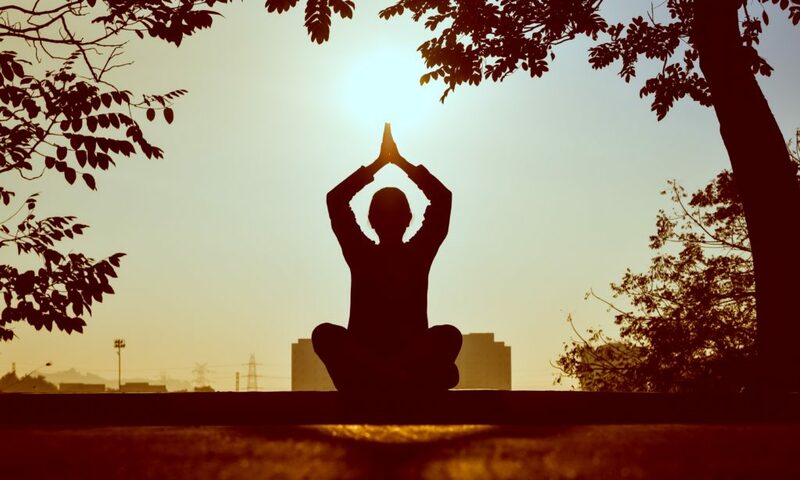 Yoga and meditation have shown promising results for health troubles in every part of the mind and body, including those that tend to disproportionately affect seniors. This is due to their unique combination of physical exercise, mental relaxation, and spiritual awakening — and their ability to bring all three together.